Models wear costumes designed by Musa Widyatmodjo at the opening ceremony of Indonesia Fashion Week 2019 at the Jakarta Convention Center in Central Jakarta on Wednesday. Models dance on the catwalk at Indonesia Fashion Week 2019 on Wednesday at the Jakarta Convention Center in Central Jakarta. Despite being made out of eco faux, the outfits are still comfortable for the models. A model wears a costume made out of eco faux, a synthetic fiber that is usually used in architecture, on the catwalk at Indonesia Fashion Week 2019 at the Jakarta Convention Center in Central Jakarta on Wednesday. Models walk down the catwalk accompanied by traditional dancers in 'Viro Dream', a fashion show and art performance resulting from a collaboration between designer Musa Widyatmodjo and Viro. Wearing the designs of 10 emerging Indonesian designers, models strut down the catwalk during the opening ceremony of Indonesia Fashion Week 2019 on Wednesday at the Jakarta Convention Center in Central Jakarta. 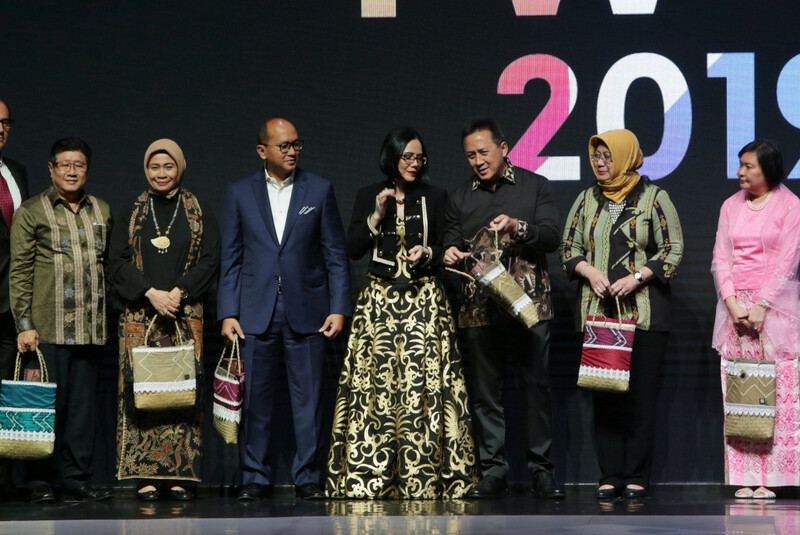 President of Indonesia Fashion Week (IFW) Poppy Dharsono (center) poses with Creative Economy Agency (Bekraf) head Triawan Munaf at the opening ceremony of IFW 2019 at the Jakarta Convention Center in Central Jakarta on Wednesday. Fashion designer Musa Widyatmodjo shows that architectural material can be transformed into costumes in Viro Dream, a show that merges art performance and a fashion show. Held during the opening ceremony of Indonesia Fashion Week (IFW) 2019 on Wednesday at the Jakarta Convention Center (JCC) in Senayan, Central Jakarta, Viro Dream featured a collaboration between Musa and Viro, a brand owned by PT Polymindo Permata that provides material solutions for architectural and interior design. A total of 18 looks were presented at the show; all made out of Viro’s eco faux material, which is a synthetic fiber made from high-density polyethylene (HDPE). “We can make it look exactly like rattan, bamboo, wood and alang-alang [cogon grass],” said Viro general manager Hardjanto Nusantoro at a press conference on Wednesday. 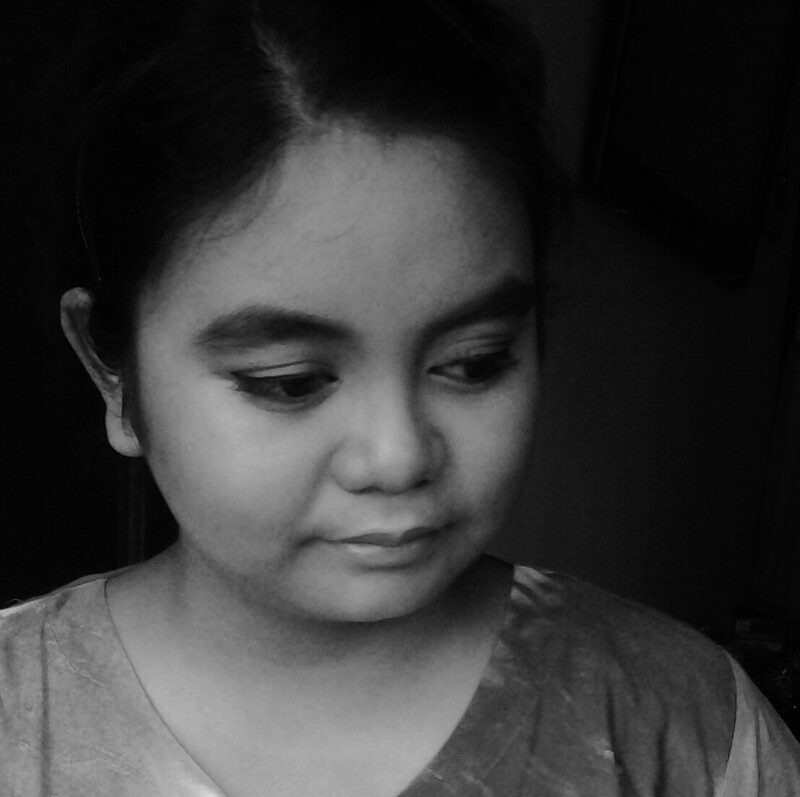 Musa worked alongside Viro’s creative team for about a month to prepare the costumes. “Eco faux is a stiff material as it is used for architectural purposes, while materials in fashion are [mostly] organic and flexible. Hence I told Viro teams to develop it to be more flexible and stretchable,” Musa said. Despite the original use for eco faux, Musa stated that his models were comfortable moving throughout the show, however the material is not recommended for daily wear. “It can be used as a costume [material] for carnival or theater performance,” Musa said, adding that the material could be an interesting alternative for the fashion industry as natural material is getting more expensive. Said to be environmentally friendly, eco faux is water and heat resistant as well. “Natural material [generally] will last two to three years if exposed to outside [weather], while eco faux can last for 20 years and can be recycled up to seven times,” said Hardjanto. 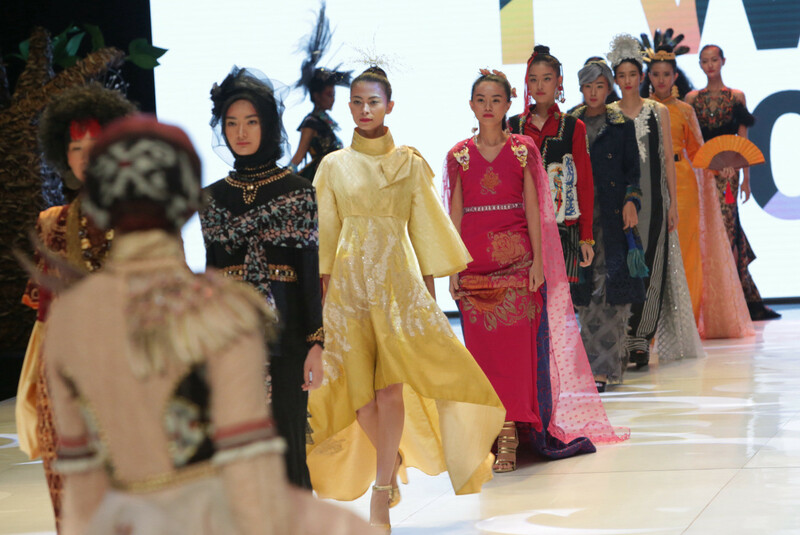 Entering its eighth year, IFW will be held from March 27 to 31, with cultural values as the main theme. This year’s event also highlights Kalimantan as its inspiration. 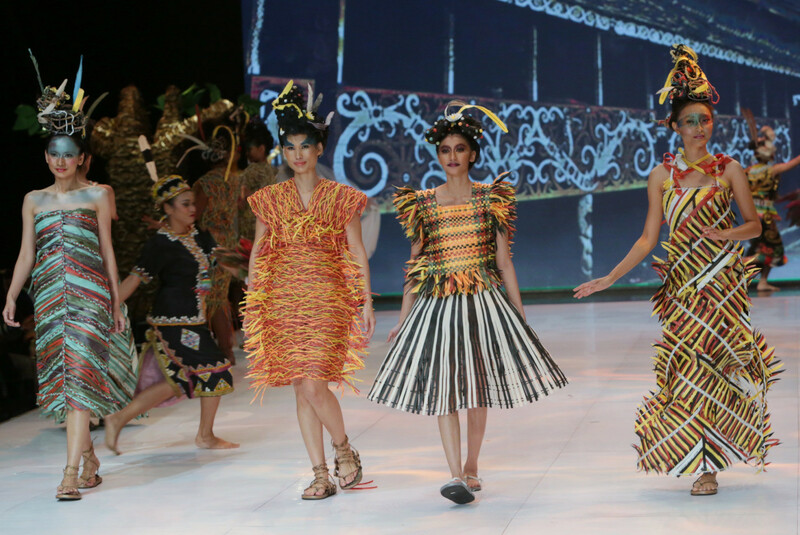 “Few people focus on Kalimantan culture, though the province’s main ethnicities, which include Melayu, Dayak, Banjar Kutai and Dayak Paser, offer a unique atmosphere [to the fashion industry],” said IFW president Poppy Dharsono in a statement.